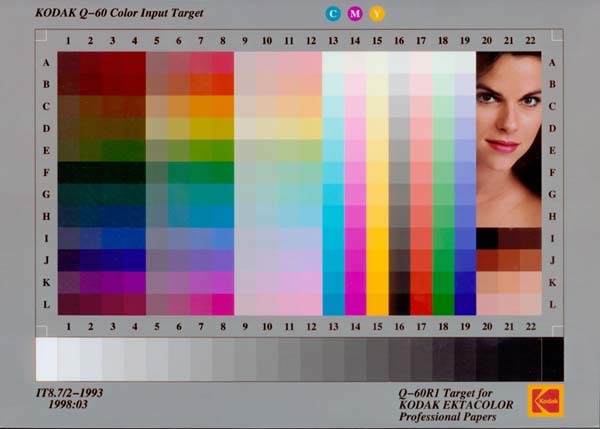 Earlier image source materials in this catalog, including this color reference target, were scanned at 600 dpi on a ScanMaker 4 into Photoshop using the sRGB color space, then reduced to 1000 pixels for the longest dimension and saved as a "high" quality jpg. To increase clarity and detail some images (but not this one) were "lightened" by adjusting the color midpoint and sharpened by applying an "unsharp mask". Some were adjusted in more radical ways. These days most images arrive as .jpg files from other people. I have no control over how they are made. 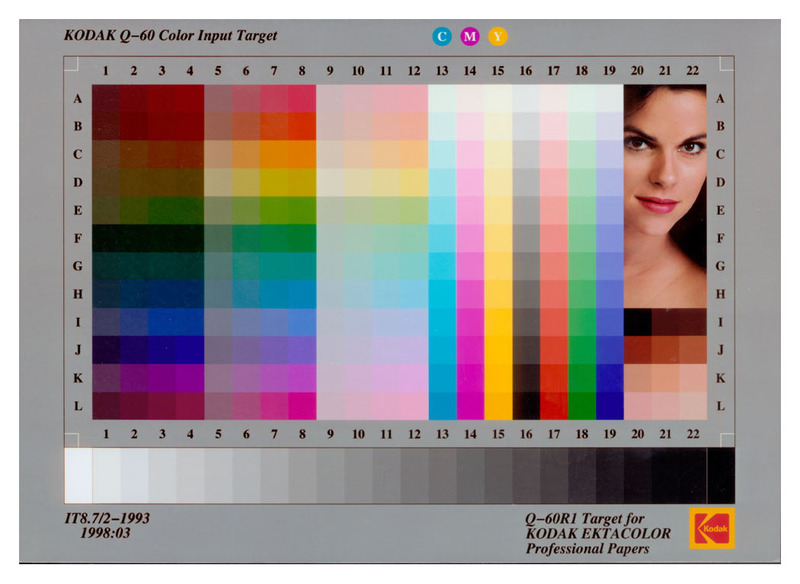 I use photoshop to correct distortions, adjust color balance (usually by selecting some zinc white in the painting image as the white point), resize, and sharpen as best I can. To reduce download time, the images that appear directly on the description pages, such as the image above, are shrunk to 600 pixels for the longest dimension. To see the bigger version click on the image.